Jergens Inc. announces three key additions to the company’s range of OK Vise® compact, low-profile edge clamps. Among them are Multi-Rail (MR), Knife Grip and Hydraulic Kits. Multi-Rail is the new general-purpose, multi-configurable, modular workholding system capable of holding challenging workpieces, small and large, and often multiple in the same location. Multi-Rail is also compatible to mount to the Jergens QLS Grid System, a lightweight 2-piece aluminum column that opens up further machining opportunities including connections with both Fixture Pro® and Ball Lock®. Knife Grip are also compact, low-profile edge clamps that improve production and provide solutions for difficult applications. What’s unique about OK Vise Knife Grip are the jaws that feature serrated teeth to penetrate into softer materials and prevent part movement due to the load imposed by machining forces. 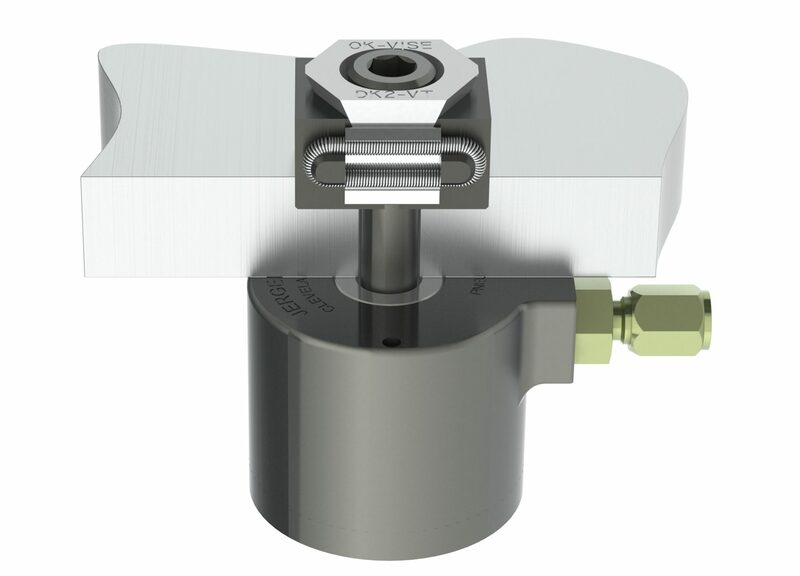 Hydraulic actuation kits pair the OK Vise clamping system with the advantages of hydraulic workholding. Repeatable clamping forces and improved ergonomics are two key benefits for high-production applications. OK Vise clamps are small in size yet provide excellent clamping force, up to 150 kN.